The Liberty 3 in. 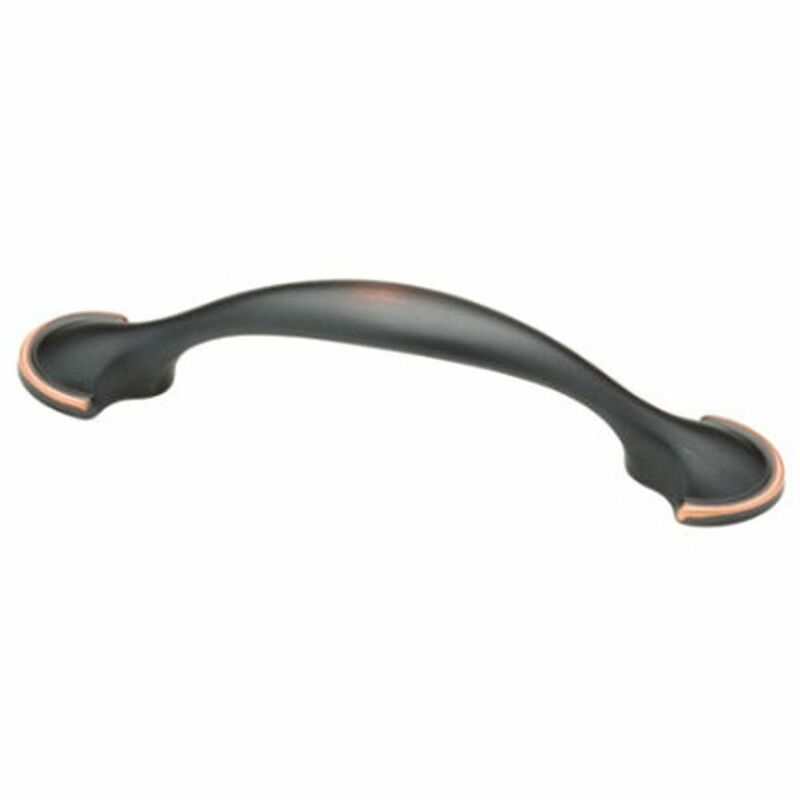 Bronze with Copper Highlights Half Round Foot Pull adds elegance to traditional-style cabinetry or furniture. It features a center-to-center design for easy installation. The metal base material is crafted for endurance and comes in a bronze finish with copper highlights. 3 in. Half Round Foot Pull The Liberty 3 in. Bronze with Copper Highlights Half Round Foot Pull adds elegance to traditional-style cabinetry or furniture. It features a center-to-center design for easy installation. The metal base material is crafted for endurance and comes in a bronze finish with copper highlights. 3 in. Half Round Foot Pull is rated 4.6 out of 5 by 18. Rated 4 out of 5 by Bjm from They worked perfect on my cabinets. When purchasing, I had... They worked perfect on my cabinets. When purchasing, I had to dig through the pile in order to get the copper finish on the ends. Some of the handles did not have it. Probably 50%. Rated 5 out of 5 by Bonnie from Beautiful and functional.... Beautiful and functional. Rated 5 out of 5 by Lauren from As described. Looks great in our bathroom.... As described. Looks great in our bathroom. Rated 5 out of 5 by Blue from Very satisfied with these cabinet pulls from Liberty. They were... Very satisfied with these cabinet pulls from Liberty. They were very consistent in the hole center to center spacing as well as being flat to the surface of the drawer/door. It was nice that they also came with two different size 8-32 screws for door or drawer.